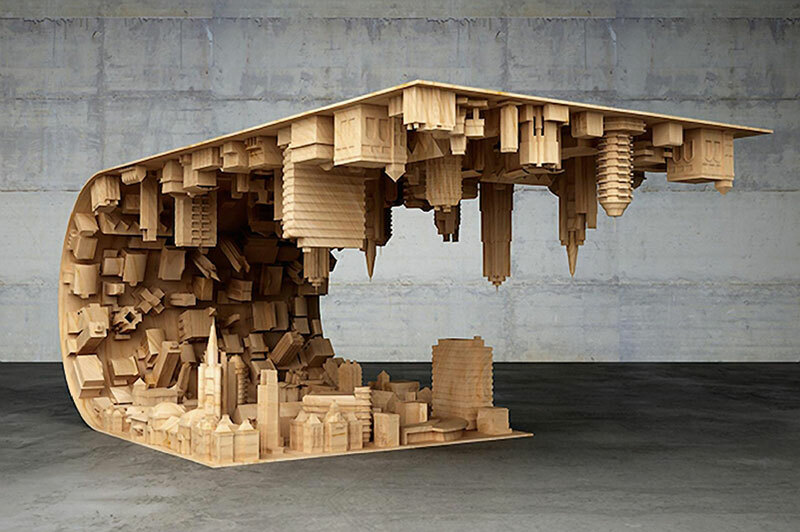 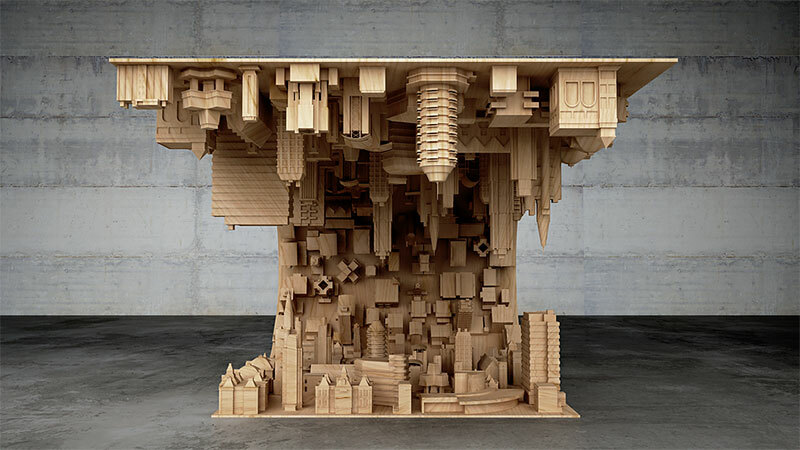 The Wave City Coffee Table by Cyprus-based designer Stelios Mousarris was inspired by the 2010 film Inception, in which the characters were able to manipulate their dreams and build cities that defy gravity and reason. 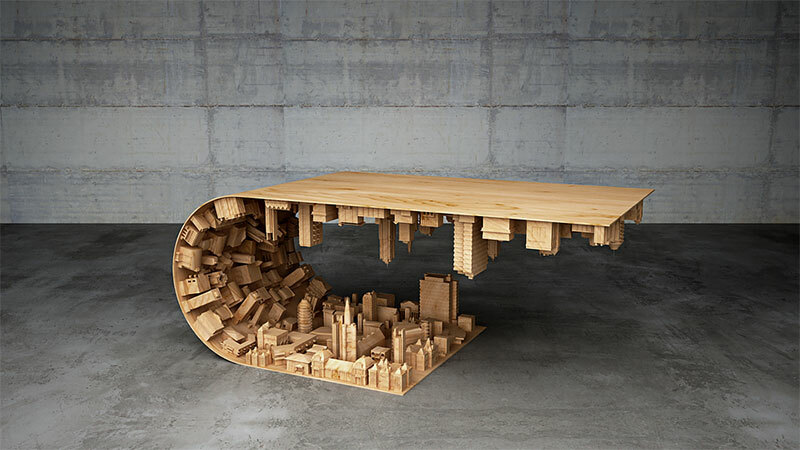 Made of wood, steel and 3D printing technology, the table folds onto itself with the overlapping surface used as a tabletop. 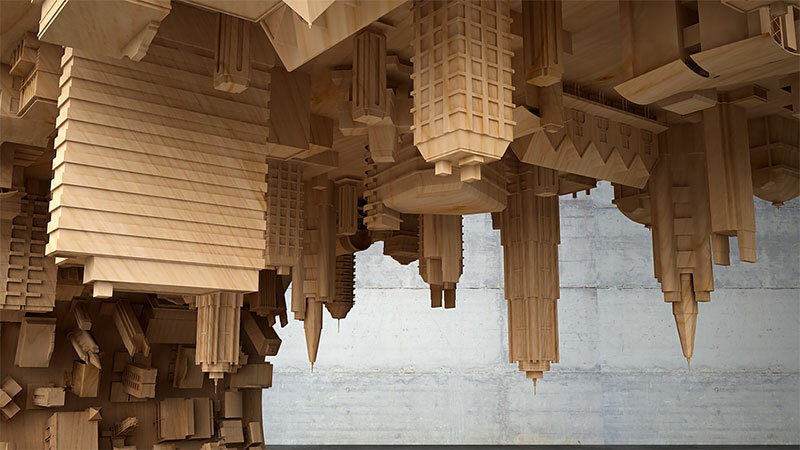 The carved buildings underneath the surface acts as a counterweight to balance the lower section and adds a sense of realism to the design. 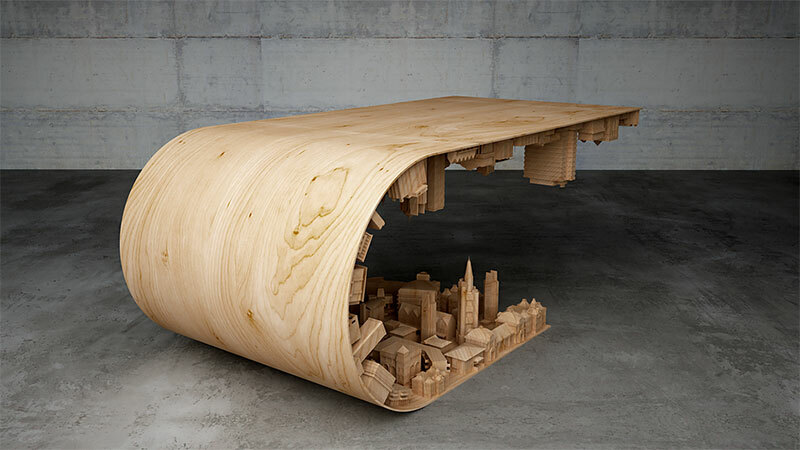 The Wave City Coffee Table by Cyprus-based designer Stelios Mousarris was inspired by the 2010 film Inception.